President Camps visits Torrevieja to oversee historic signing between Microsoft and CAM Bank. Monday 19 April 2010, marked another historic day in the short life of Torrevieja’s Hospital, which has already been voted one of the top Medical facilities in Spain and chosen as the research centre for collaboration between the Provincial Health Service and Microsoft. The signing of the agreement brought the President of the Generalitat Valenciana, Francisco Camps, to the city, to oversee the signing between the software giant and CAM Bank. He also announced that within a month, throughout the Valencian Province, you will be able to view personal medical information, all on your mobile phone screen. 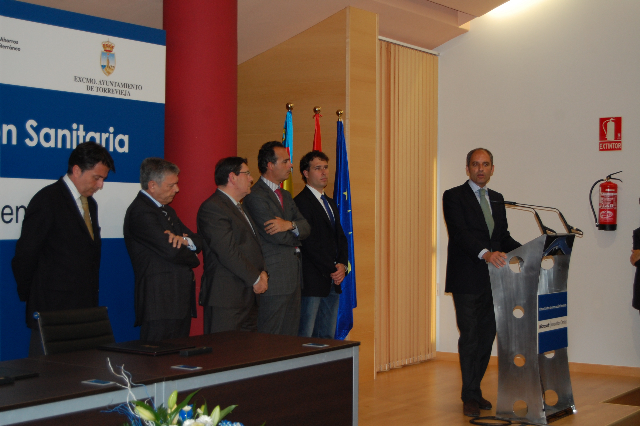 Torrevieja’s Mayor, Pedro Hernandez Mateo opened the proceedings, welcomed everyone and thanked President Camps for all his hard work and the initiative shown, to not only persuade Microsoft to come to Valencia, but to Torrevieja in particular. During his speech, President Camps affirmed that Microsoft’s ‘Health Innovation Centre’ was a positive step forward and he thanked them for choosing the Valencian region as the first Global Research Centre for the Florence system. In reference to the Historic Agreement that was signed between Microsoft and the Hospital de Torrevieja, the President stressed that the Valencian region is situated at the technological forefront of research and is today considered an icon of excellence in healthcare management. Camps also stressed the importance of such projects to stimulate the generation of employment and noted that this was a “call to technology, welfare, development, prosperity, and also to the economy.” He added, ‘Over the last few years, we have tried to make the Comunitat a place where every citizen has the same opportunity in every corner of our territory.” The Health Innovation Centre will use information technology and communication as a strategic axis to improve the efficiency and quality of care. This innovative approach towards health research has placed Valencia on the International Health Map, making it a world leader in the use of New Information and Communication Technologies (ICT) in Health. Over the last five years, the Comunitat has invested more than 185 million euros into such schemes and created four Research Centres of excellence, including Centro de Investigación Príncipe Felipe, the Centro Superior de Investigación Oftalmológica (Advanced Eye Research), the Instituto de Neurociencias de la Universidad Miguel Hernández (Neurosciences) and the CSISP; Centro Superior de Investigación en Salud PÁºblica (Public Health Research). At present the Region has 1,900 full-time researchers in the health industry (over 20,000 between universities, research institutes and companies), have trained more than 100 research groups plus more than 1,600 clinical trials have been performed, since 2005. In terms of immediate benefits to you and I, the Florence system will enable you to check appointments, waiting times for emergency services and updates all through the use of SMS on your mobile phone. The number to add to your phone’s address book is: 25013. By adding the word ‘URGENCIAS’ you’ll be updated with waiting times; ‘CITAS’ plus your SIP number, will allow you to check appointment times; ‘HOSPITAL’ plus SIP number will provide you with information and updates (in Spanish at the moment) and sending an SMS to 25013 with the word ‘INFO plus a nine digit code that you shall be given, should a family member be admitted to hospital, will give you information on the patient’s progress and status. 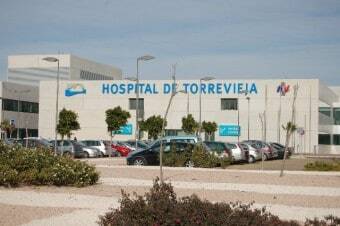 This is just the start of the development process for ‘Florence’ and the reason that Microsoft have come to Spain and chosen the Hospital de Torrevieja as their world centre for research into the project.